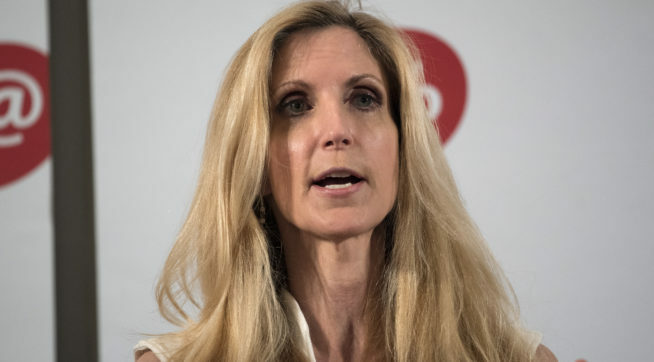 Conservative media star Ann Coulter during an appearance on Fox News’ “The Next Revolution” Sunday urged President Trump not to believe the media hype about immigrant children at the border who are allegedly being taken from their parents. Coulter pointed out she read in The New Yorker that immigrant children were being fed “scripts” to make their plight seem more dire and she warned Trump against believing it. “A New Yorker article, The New Yorker is not a conservative publication, they describe how these kids, these kids are being coached. They’re given scripts to read by liberals, according to The New Yorker,” said Coulter. She had my curiosity going, that’s for sure. Seems she was referring to a New Yorker article from 2011. Now my memory is usually pretty sharp, but on this one, going back seven years, I drew the big blank. I found a lengthy, but interesting read from, as Coulter mentioned, of all places, the ultra-liberal New Yorker magazine. Because the lengthy piece (worth your read) is from 2011, I will provide as is customary on the Highly Interesting blog, a bit of a tease in a short excerpt. It is not enough for asylum applicants to say that they were threatened, or even beaten. They have to furnish horror stories. It’s not enough to say that they were raped. The officials require details. Inevitably, these atrocity stories are inflated, as new applicants for asylum get more inventive about what was done to them, competing with the lore that has already been established, with applicants whose stories, both real and fake, are so much more dramatic, whose plight is so much more perilous, than theirs. Yes, it’s a 2011 article, but that’s important because it, and there are more details coming if you please take time to read the entire piece, demonstrates how screwed up we were as a nation and continue to be on immigration policy and procedures, and how it took the current guy in the White House to actually change/do something about our ridiculous situation. I’ve not even touched on how disgusting that New Yorker piece is. Find out for yourself here.